We’re fanatical about getting new patients. Like anything, if you want to improve it, you have to measure it. So we looked for a way to measure the new patient performance of every Perfect Patients chiropractic website we host. 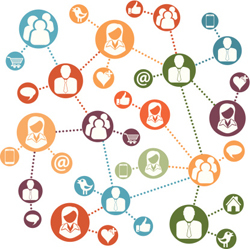 Pop quiz: Would you rather have 100 website visitors that resulted in three new patients? Or 10 website visitors that turned into four new patients? It’s a common myth that more traffic means more new patients. It’s not true. Yet this myth prompts many to waste precious resources on expensive outside SEO consultants attempting to claw their way to the top of page one. To help our in-house SEO department make smart decisions, we needed a way to measure which online channels actually produce new patients. Come to find out, there’s a whole world out there beyond Google. 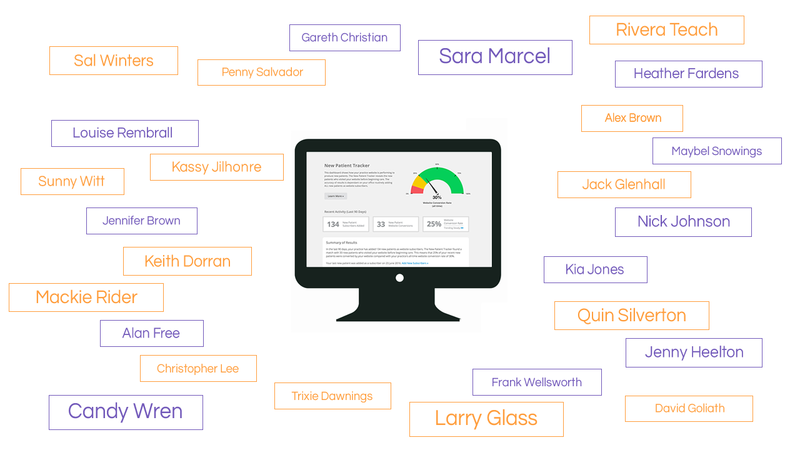 When you log in to your Perfect Patients website dashboard you’ll see the names of all the new patients produced by your site during the last 90 days. You’ll know whether they came from a search engine, a review site or a referral; even the last page they visited right before calling you to begin care. 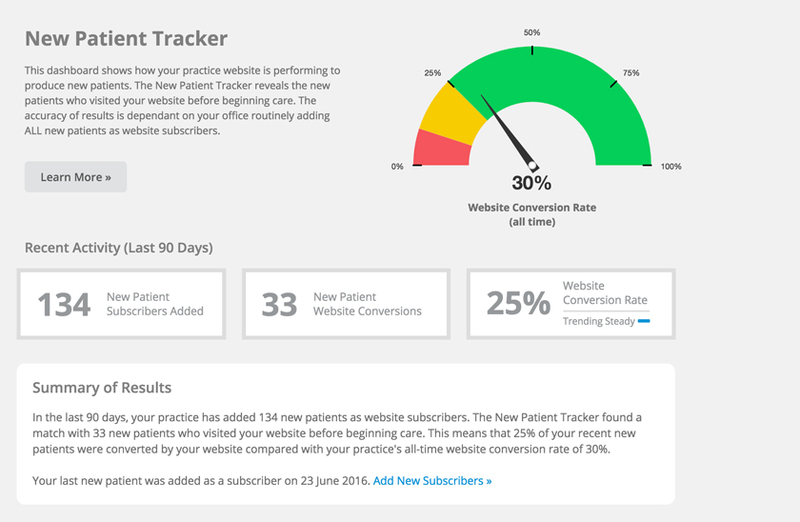 The Perfect Patients New Patient Tracker is proof that your website is earning its keep by producing new patients. Why Do New Patients Choose You? Data produced by the Perfect Patients New Patient Tracker provides the essential metrics to help our Conversion Technology team diagnose and correct under performing websites. When combined with traditional website analytics we determine what pages are under performing and can take remedial action—often before it shows up in your practice statistics! Is your current website host this transparent? Are they this accountable? Are they this fanatical about producing new patients for you? Is this their first time visiting your site? What was the last page they visited? Did they use a search engine or other channel? This, and other data, is archived 24/7. Waiting. Waiting to connect the dots when your front desk team adds a new patient as a subscriber to your website. When the software finds a match between someone who visited your site, and then later became a new patient, you know your website investment is earning its keep. By actually measuring new patient production, rather than traffic, Google ranking or some other false proxy, we’re able to confirm which SEO overtures and link-building initiatives actually produce new patients. No other website company comes close to taking on this level of accountability. They produce websites. We produce new patients. Granted, there’s more to having a website than simply producing new patients. Our New Patient Tracker supplies valuable feedback there as well. When your patients read your monthly newsletter, participate in your e-Learning and consume the blog posts we publish for you, they receive hours of patient education that you didn’t have to deliver personally. That saves you time and repetitious explanations. When you log on to your Perfect Patients dashboard you’ll see how many hours of patient education your website delivered for you. Based upon their online behaviors, we can distinguish between stranger new patient traffic and someone arriving on your site based on having been referred. Many chiropractors are astonished to learn that about a third of all referrals visit their website first before beginning care! Referrals who wanted to “see for themselves” before acting on the recommendation of a friend. By the way, if you don’t have a website, you’re making it difficult to get all the referrals you deserve. If you haven’t yet, be sure to watch our 2-minute video. Discover why these days, a cheap website is a false economy. In fact, if it’s not producing new patients, it’s actually a waste of money, regardless of how little it costs. We’re looking for chiropractors who want a partner–a chiropractic website company deeply invested in their online success. Is that you? Fill out our simple form to discover which of our three service plans is best for you.